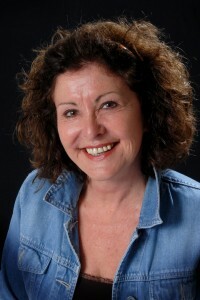 Hello, I’m Christine Wesson, Chichester Hypnotist. As an ex smoker myself I understand the agonies of trying to quit using willpower. I’ve undergone the agony of cravings and withdrawal symptoms and been through the process of stopping for between a week and several months only to begin again in desperation. I understand the fears and the frustrations of trying the fight the monster of addiction while at the same time feeling as if this thing is too big and strong to overcome. I can also remember, if I choose to, the worries over health and the fears that I might end up dying in the same way both of my grandfathers, my father and my father-in-law died of smoke related deaths. I can remember the shortage of breath and as I puffed my way through my daily quota and how difficult it increasingly became to climb a hill or to run even a short distance. I feared for my life and long term health and yet still felt too weak to stop. Like you I believed I was lacking in willpower (a common belief of smokers). None of this was true however and with the right help from the right person I became completely free. The only difference between using the willpower method and the one I was now led to was that this time there were no cravings, no withdrawal symptoms and now focus on cigarettes. I walked away as if I’d never smoked before truly believing a miracle had occurred. This all happened long before I decided to become a hypnotist but being able to help others to overcome the deadly smoking habit is one of the benefits of doing the job I love. As a consultant hypnotist I offer life changing hypnosis in Chichester, Bognor Regis, Worthing and all areas of West Sussex. NHS registered, my mission as a therapist is to work with integrity, giving value, support, encouragement and guidance to enable individuals to recognize their full potential. Having experienced the life changing benefits of mind therapies I decided that I too wanted to train as a therapist and help others. My life was literally turned around when I was introduced to the idea that everything in life comes from ways of thinking. With help, I was able to change my thinking patterns and thereby change my life. Therapy helped me to stop smoking and then again when I was at my lowest ebb and enabled me to overcome what had seemed like insurmountable difficulties. This time I knew I wanted to offer the same help to others. I trained in hypnotherapy with The Institute of Clinical Hypnosis in London where I gained a diploma in Clinical Hypnosis and a diploma in Hypnotherapy and Psychotherapy. I am a member of the General Hypnotherapy Register and a validated practitioner of the General Hypnotherapy Standards Council whose members are recognised by both the NHS and BUPA. I trained as an Emotional Freedom Technique (EFT) practitioner in 2003 and became a certified trainer of EFT to therapist level in 2007. I run workshops on EFT in West Sussex, training others to use EFT either for their own use, or to use with clients. I have been a student of Metaphysics since 1999 and qualified as an authorized leader for “You Can Heal Your Life” workshops and groups based on the philosophy of Louise L Hay in 2001. Several years of study led to qualification as a counsellor, practitioner and teacher of Metaphysics. In recent years I have become interested in Past Life Regression and Future Life Progression and have qualified as a Past Life Regression and as a Future Life Progression Therapist. I am a member of The British Register of Complementary Therapists and an active HypnoSlimmer consultant. Having been a student of the mind and its effect on the body and affairs for over a decade I am fascinated by the mind body connection. Using metaphysical techniques and philosophies has had a definite and positive effect in my own life and I am absolutely committed to sharing everything I have learned during this time to facilitate change in my clients. I am enthusiastic in teaching others how to make the necessary changes that will improve their lives painlessly and easily.